When one thinks of aircraft that have been done to death in publications, they would be hard pressed to decide whether the leader of that list would be the Messerschmitt Bf 109, Supermarine Spitfire, or the subject of this book, the North American P-51 Mustang. What is remarkable, though, is that for all three of these subjects there is still gaps in their history waiting to be filled. While I would like to say this book is one of those rare titles that fills one of those gaps, it is not. That said, it is a very useful book in that it provides a laser focus on just the P-51D variant, and covers it in detail. The book starts out with a bit of an operational overview of the P-51D Mustang, but that is all it is, just a high-level overview. This is understandable, as a detailed operational history would easily fill dozens of books. What you do get, though, is a handful of photographs and some color illustrations showing some of the more interesting markings worn by the bubbletop Mustang in Europe and Asia, as well as post-war operations in Korea, Latin America, and more. These illustrations are excellent, and the accompanying photographs are printed large and clear, making for a nice collection. 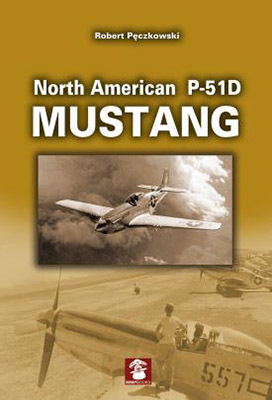 The meat of the book, however, is a comprehensive visual breakdown of the systems and surfaces of the P-51D/K Mustang. This is done with a combination of original manual illustrations, detailed text description, detail illustrations, and close-up photographs, both of current-day Mustangs and period P-51s. Each section is broken down by the specific area of the aircraft covered, and the combination of visual representations provide a very thorough look at how the P-51D Mustang was put together. The period photos, in particular, are of great use as not only do they show the specific areas, but also show how they appeared on operational aircraft. This is of great use to modelers who wish to accurately represent those areas on their Mustangs. While there is not anything really new in this book, the organization and presentation makes it a very welcome addition to the P-51 reference library. I hope that we might see a similar title come out on the razorback P-51s, and perhaps even include the Allison-engined Mustangs as well. My thanks to MMP Books for the review copy.